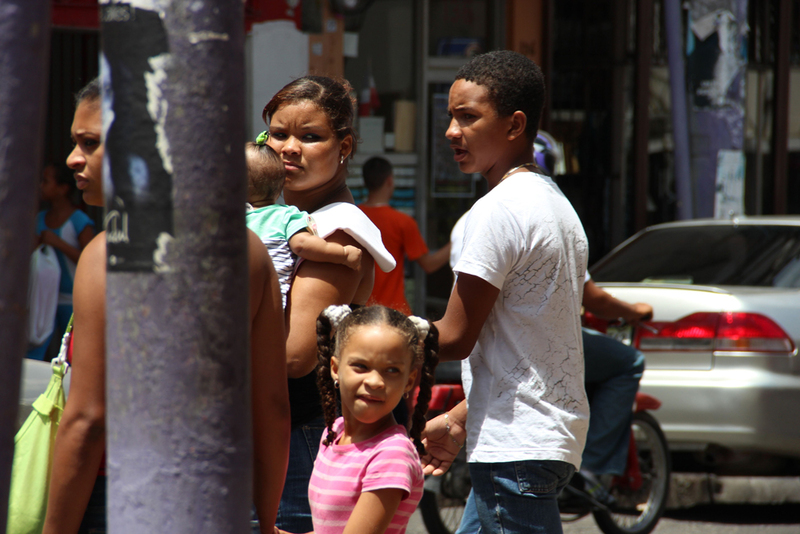 Dominicans are the fifth largest migrant group of Latin American origin in the US and the Dominican population is one of the most rapidly increasing ones especially in cities such as NYC. This is important when taking into account the history and motives that resulted in the mass migration of Dominicans, which was largely in part due to US imperialism and the Trujillo regime. 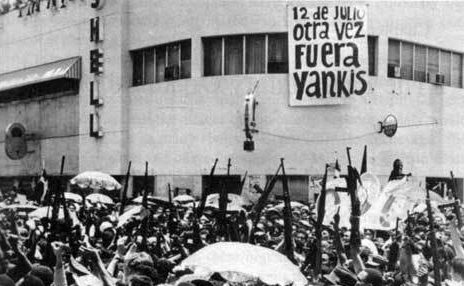 Decades following the demise of the Trujillo regime came an attitude among some Dominicans within the country and in the US to romanticize the Trujillo era–a reflection of how the country’s population continues to be politically and economically demoralized. This romanticization has made a comeback with Trujillo’s nephew’s, Ramfis Trujillo, presence in the Dominican Republic’s political arena, recently making public his interest in running for President. It is crucial for people and especially the Dominican diaspora to understand the brutal history of US involvement in the island and the disaster that was the Trujillo regime. It is essential to deromanticize him and his era and to combat any remnants of fascism on the island he left behind. The first US invasion of the Dominican Republic lasted from 1916-1924 and created the conditions for the rise of the first Dominican fascist dictator, Rafael Leonidas Trujillo, as well as the first wave of significant migration from the island to New York City. The Dominican Republic experienced a debt crisis following the murder of former Dominican President Ramon Caceres in 1911, which was followed by the US invading the island nation on November 29th, 1916 and the establishment of a military interim government, with the purpose of securing US economic interests in the country, to collect debt and to control the customs offices at the main Dominican ports. The US also viewed the Dominican Republic as a strategic region given that it neighbored the Panama Canal which was constructed in 1914. The military government secured their complete control over the island through the passing of restrictions such as the prohibition of Dominicans carrying or possessing firearms, munitions and explosives, and a strict censorship of the press that banned anti-US government and revolutionary publications. On December 12th, 1916, Captain Harry S. Knapp appointed several US marine officers to the ministries, which resulted in the dismissal of nearly all major Dominican officials and the Dominican Republic being under virtually complete control by the US Department of the Navy. The US Navy claimed that it aspired to bring what they consider to be stable order to the island nation; however, this was factually not the case. Drastic measures were taken by the US Navy government to disarm the Dominican population, such as unjust arrests, imprisonment, torture—tactics so commonly enforced that eventually, few Dominicans wished to keep arms in their house out of fear that they will also fall victim to the US Navy’s brutality. The US Navy also established provost courts, which served the purpose of addressing what they considered vague offenses against the military government; the courts also had a reputation of being oppressive and ruthless and oftentimes give excessive sentences to convicted Dominicans. Moreover, the Dominican National Guard was established in April 1917 with the prospect of forming native troops that could suppress revolutionary movements after the marines left the country. In May 1917, US marine officers were chosen by the leaders and commanders of the guard so that troops could be trained according to the regulations of the US Marine Corps and be an extension of it. Rafael Trujillo was recruited for the Dominican National Guard on December 18th, 1918, which was renamed the Dominican National Police in June 1921. In addition to US Navy oppression of the Dominican population, they also displaced campesinos (rural country people) as a result of land privatization laws. The Land Registration Law of 1920 was passed to increase state revenues and to strengthen the landownership system that began in 1911 with the Law of the Partition of Communal Lands—which in part gave more incentives to sugar companies that wanted to obtain more acres of land despite the negative impact this would have on terrenos comuneros(essentially campesino farmers). In addition to this, nearly all Dominican commerce was tied to the US by the end of World War I, which was encouraged by the Customs Tariff Act of 1919 that prioritized the import of US made goods. Moreover, foreign companies would forcefully displace Dominican campesinos from their land or purchase their land at extremely low prices for three decades; this development of sugar plantations left several Dominican families and campesinos with insufficient land to accommodate themselves, hence leaving them with no other choice but to move to eastern, mountainous regions with less fertile land. The sugar industry owned 438,000 acres of farming land virtually independent from the military government by 1924. Smaller Dominican companies were crushed by the influx of US goods imported in the island due to the Tariff Act of 1919, whose competition was too significant especially given that US imports arrived duty-free. Corporate greed and capitalist interests of the sugar industry resulted in the further impoverishment of an already poor campesino community and the theft of land of other Dominican agriculturalists whose small businesses were crushed by the monopolies the US mega businesses functioned as in the island. Due to this, said Dominicans were forced to flee to less fertile and less prosperous parts of the island and abandon their homes as a result of land privatization by the sugar industry, which was enabled by the policies of the imperialist military government. Likewise, the privatization and loss of land along with the discouragement of Dominican businesses resulted in Dominicans having to search elsewhere or move out of the country to places such as New York City for employment and a source of income to support their families. Dominicans did not like being governed by the US Navy and many violently opposed and resented the imperialist rule but their revolutionary groups were unfortunately dismantled by the Dominican National Guard; Dominican politicians and intellectuals also voiced their opposition to the US-backed government. Fiscal and sociopolitical matters were worsened for the Dominican population with the increase of national debt and the rule of US-backed dictator Rafael Trujillo. By 1922, the Dominican Republic was left with much more foreign debt, totaling around $15 million, due to the loans the military governors had taken to construct the highways and other projects. Dominican political leaders and businessmen had opposed this because they believed that the military government did not have the right to create more debts for the nation. It became clear to Dominican figures that Dominican sovereignty would always be informed by the foreign policies imposed by the US. Trujillo became army chief after 9 years of service in the Dominican National Police and military training by US marines. As Trujillo became further integrated into the military, he transformed the army into his own private business and tool to serve his own political agenda. Trujillo officially came to power in 1930 as a result of US military rule and especially heavy influence from the National Army in Dominican politics. Trujillo utilized the army to initiate disarmaments of Dominican citizens, as well as mass tortures and assassinations. Trujillo had a military dictatorship from 1930 to 1961 and is responsible for the the deaths of 60,000 people including the Haitians that experienced a mass genocide at his hands due to his anti-Haitian rhetoric and policies. Along with a continuation of the repressive policies of the US military government rule as well as mass murders of thousands of people, Trujillo also attained full control of all economic activities in the country and further established monopolies through state-sanctioned elimination of competition. Trujillo had left the country with a dualist economy with a predominately poor working and peasant class and a small elite class. 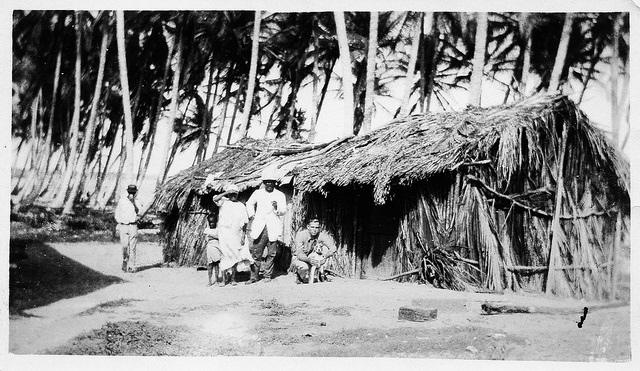 These rampant human rights abuses by the state, privatization and monopolization of industries in the economy imposed by the fascist regime resulted in the worsening of socioeconomic and political conditions of Dominicans who were already trying to recuperate from the aftermath of the US Navy military rule. Given these factors, many of these Dominicans felt they were left with no other choice but to flee the island nation in search of a better life. Hundreds of thousands of Dominicans fled the Dominican Republic to New York City in the period of the first US Navy rule and in the period following the decline of Trujillo in 1961, some were actually part of the elite. These times actually marked the beginnings of the mass exodus of Dominicans to form Diaspora. A testament of the legacy of terror that was brewed in the previous years and decades. Valerie Reynoso is a Dominican journalist, writer, artist and activist. A Century of US Intervention in the Dominican Republic. TeleSur, 25 Sept. 2016. Moya Pons, Frank. The Dominican Republic: A National History. 3rd ed., Markus Wiener Publishers , 1995. Hernández, Ramona. From One Island to Another: Dominican Imimigration to New York,1892-1924. Barnard College, Apr. 2012.